This comprehensive resource covers everything you need to know about small cell networks, from design, to analysis, optimization and deployment. Detailing fundamental concepts as well as more advanced topics, and describing emerging trends, challenges and recent research results, this book explains how you can improve performance, decision making, resource management, and energy efficiency in next generation wireless networks. Key topics covered include green small cell networks and associated trade-offs, optimized design and performance analysis, backhauling and traffic overloading, context-aware self-organizing networks, deployment strategies and mobility management in large scale HetNets. 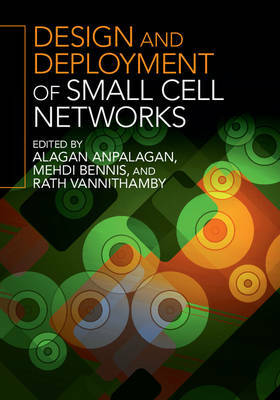 Written by leading experts in academia and industry and including tools and techniques for small cell network design and deployment, this is an ideal resource for graduate students, researchers and industry practitioners working in communications and networking.